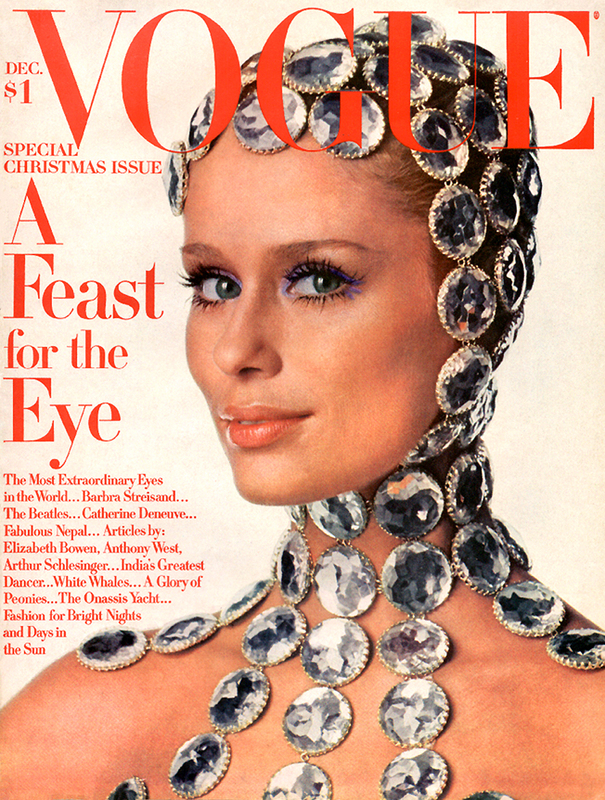 Photographed by Bert Stern for Vogue US November 1966. 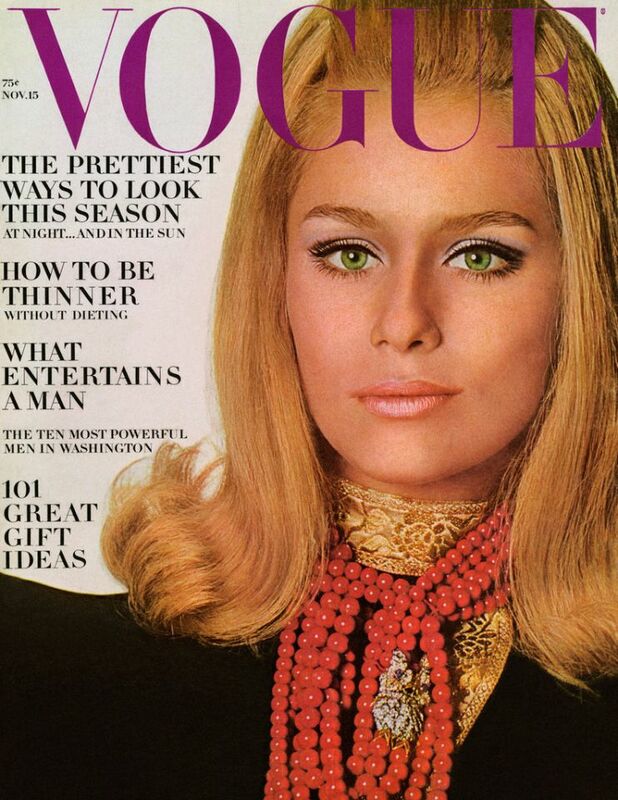 Vogue US February and March 1967. 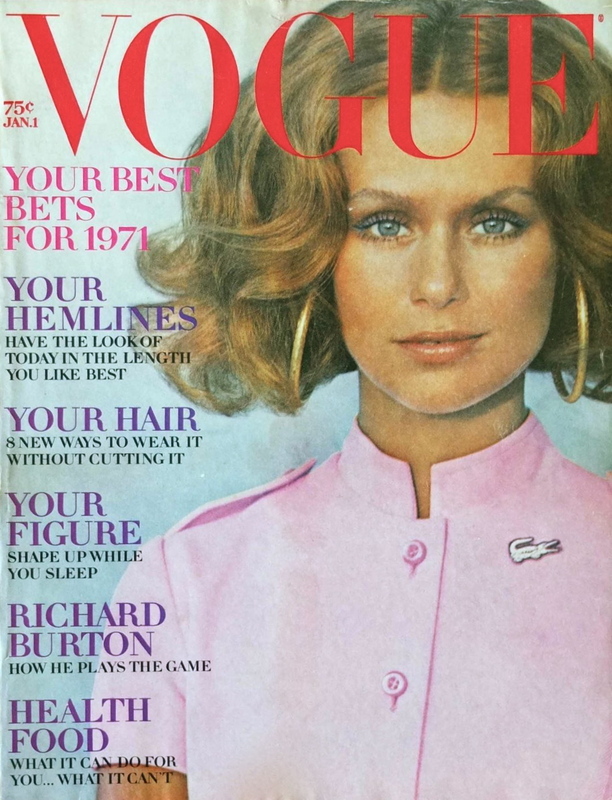 Vogue US January 1968, by Gianni Penati. 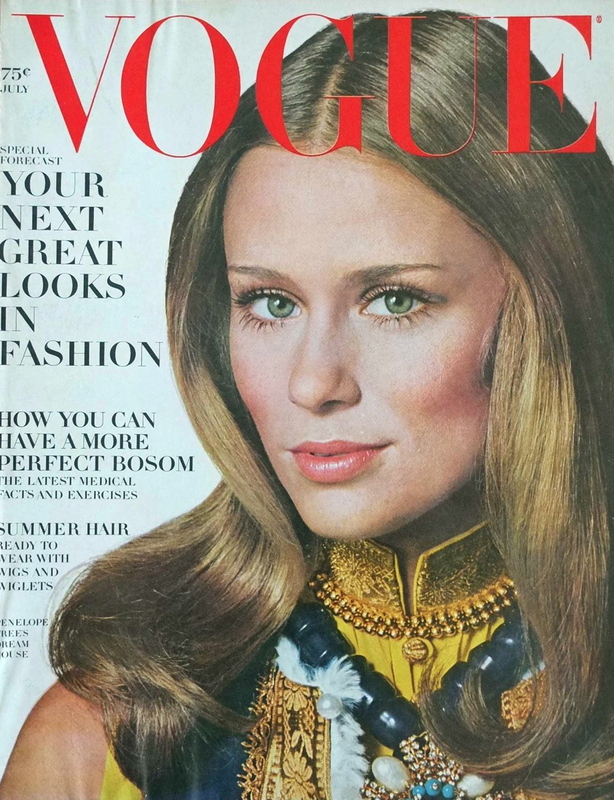 Vogue US June and July 1968. 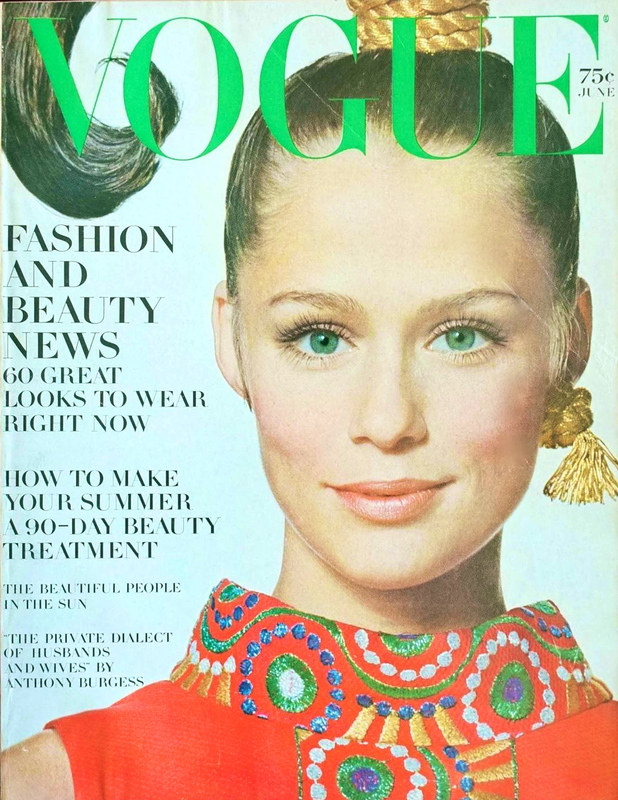 Vogue Italia July August 1968, by Irving Penn. 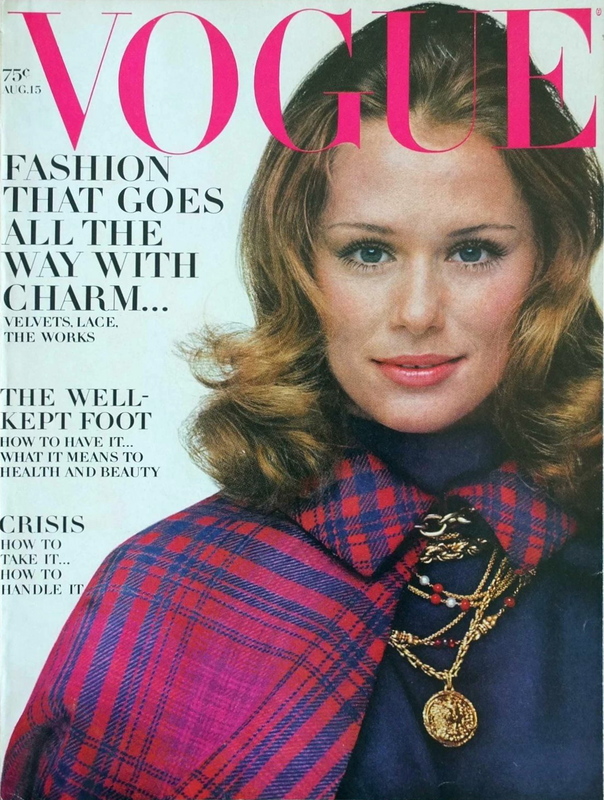 Vogue US August 1968, by Gianni Penati. 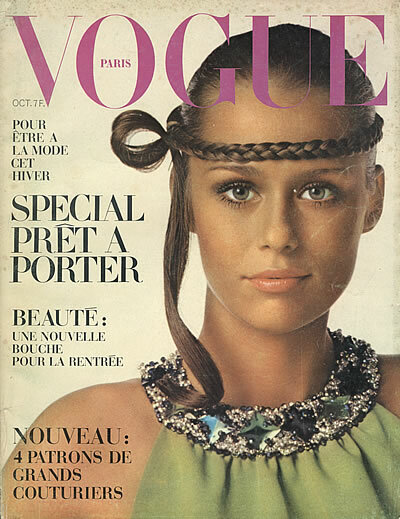 Vogue Paris October 1968, by Irving Penn. 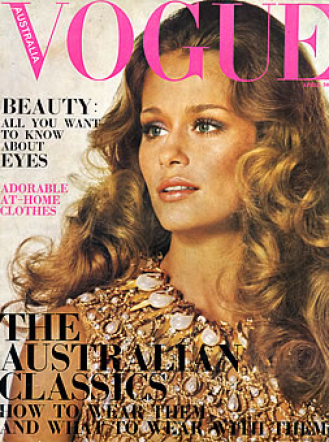 Vogue Australia November 1968, by Irving Penn. 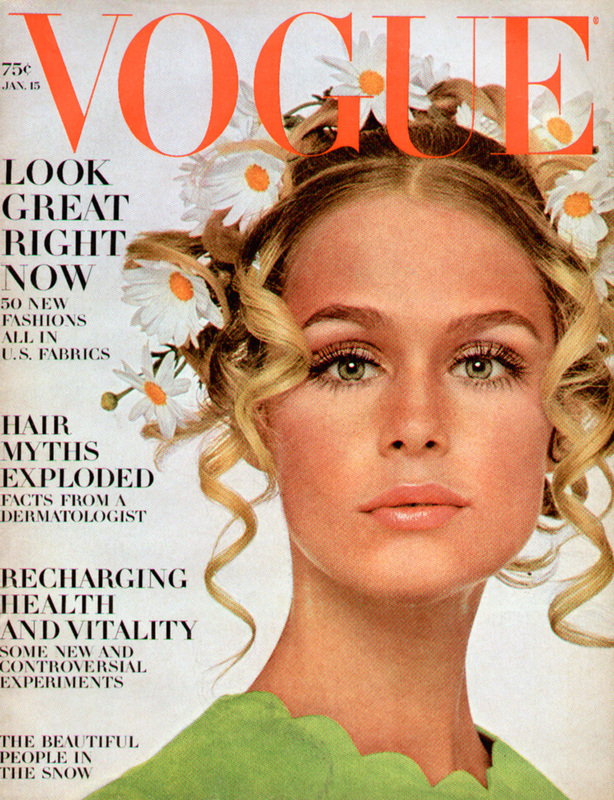 Vogue US December 1968, by Irving Penn. 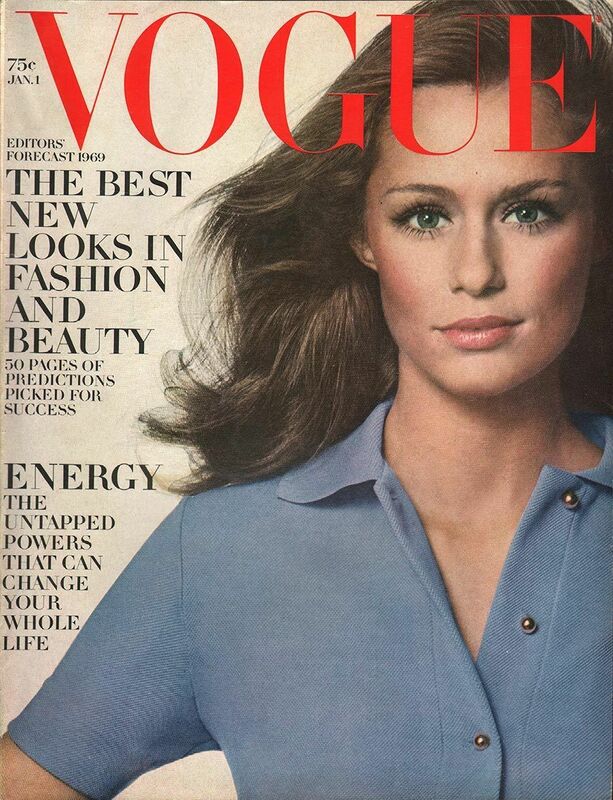 Vogue US January 1969, by Irving Penn. 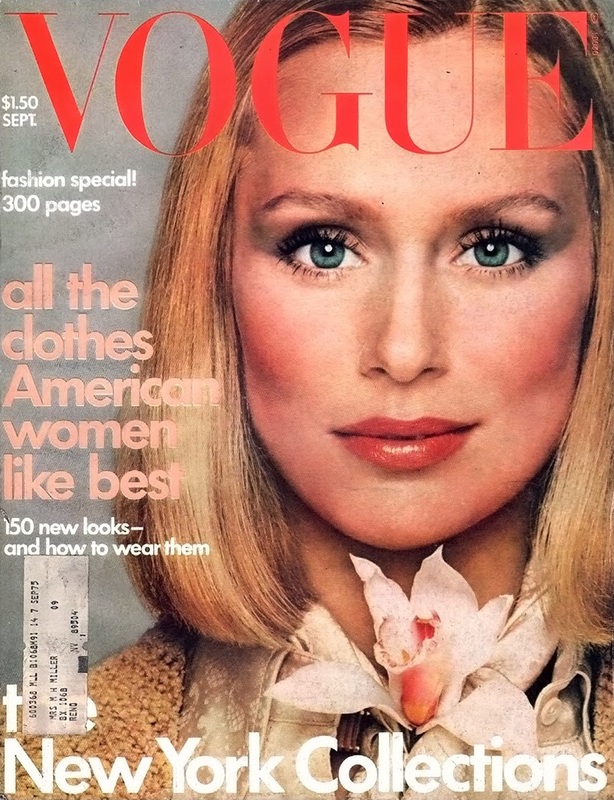 Vogue US March 1970, by Irving Penn. 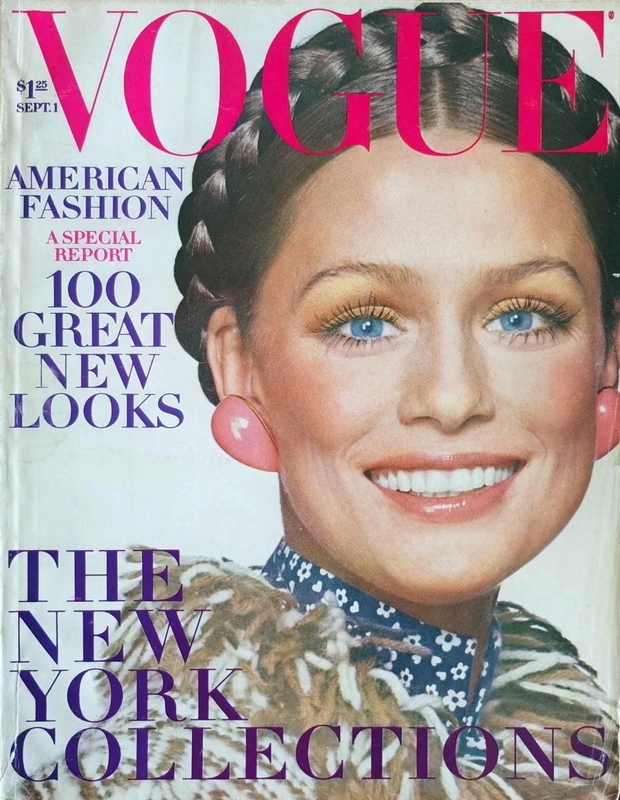 Vogue US September 1970, by Irving Penn. 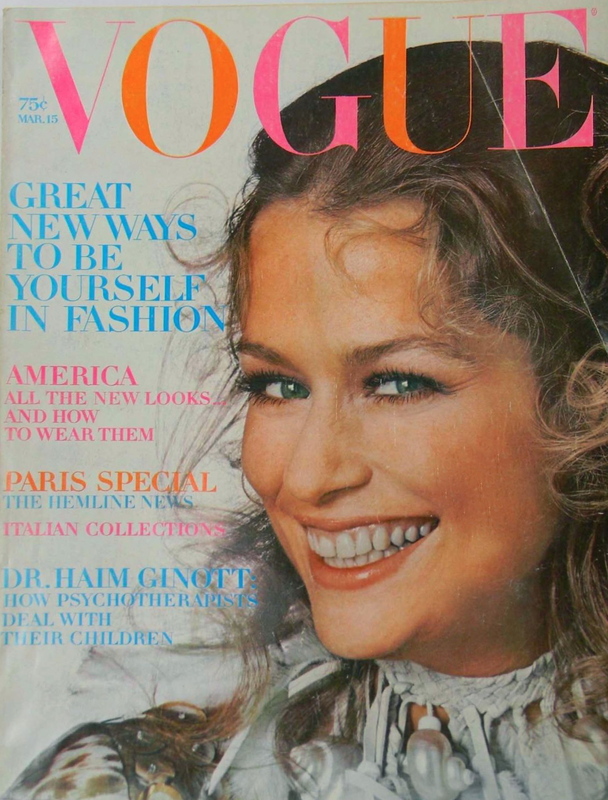 Vogue US January and May 1971. 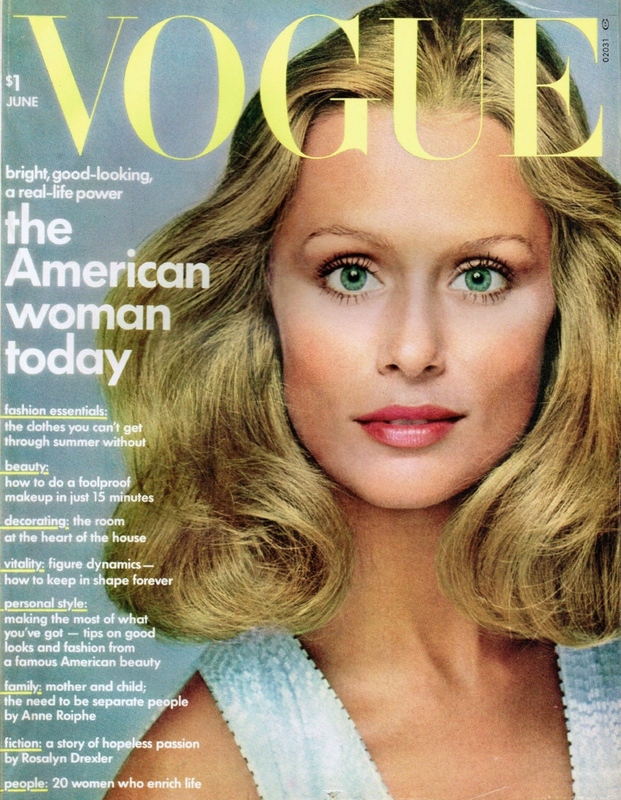 Vogue US January and August 1972, Richard Avedon. 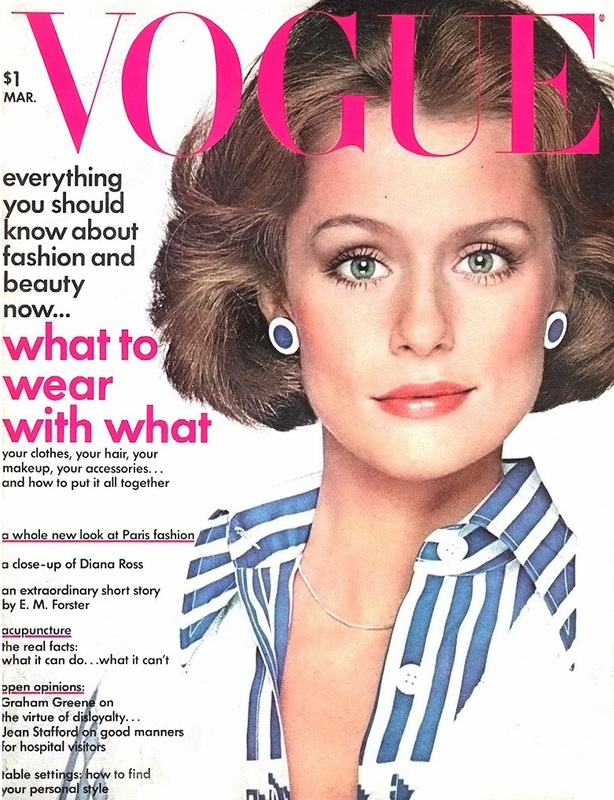 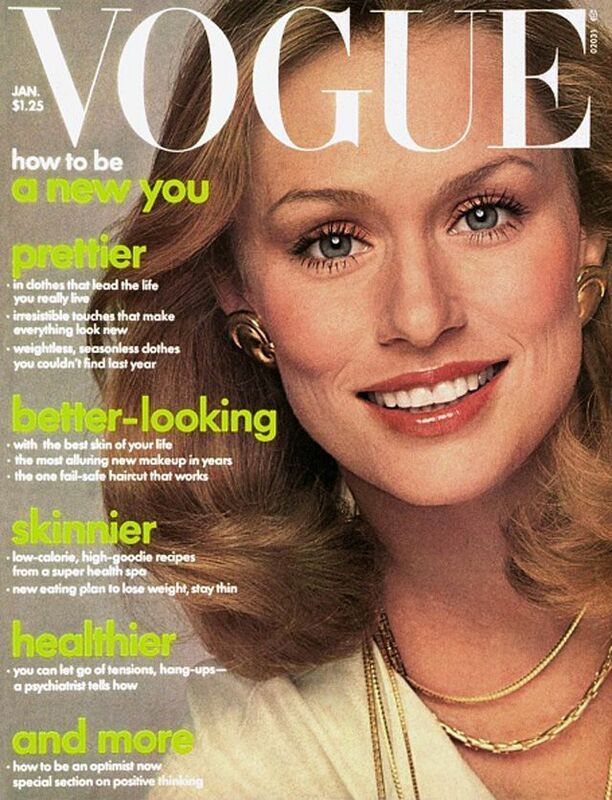 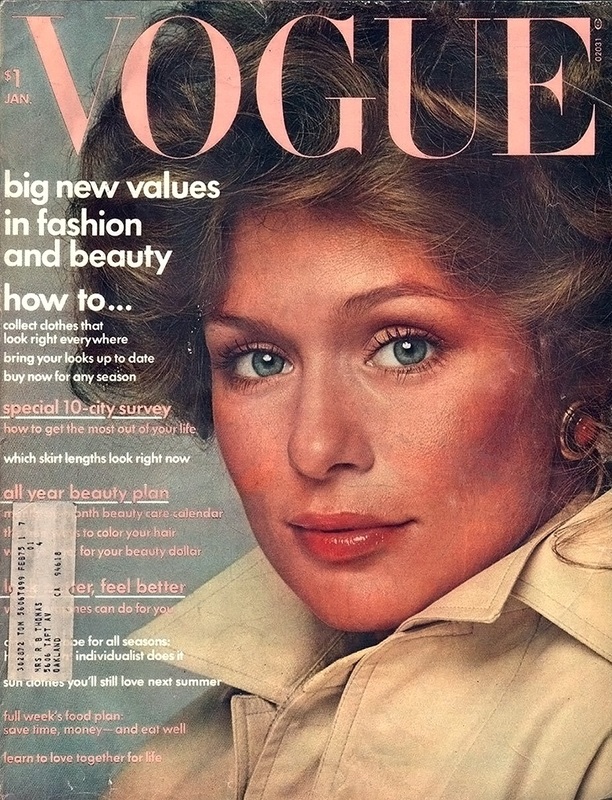 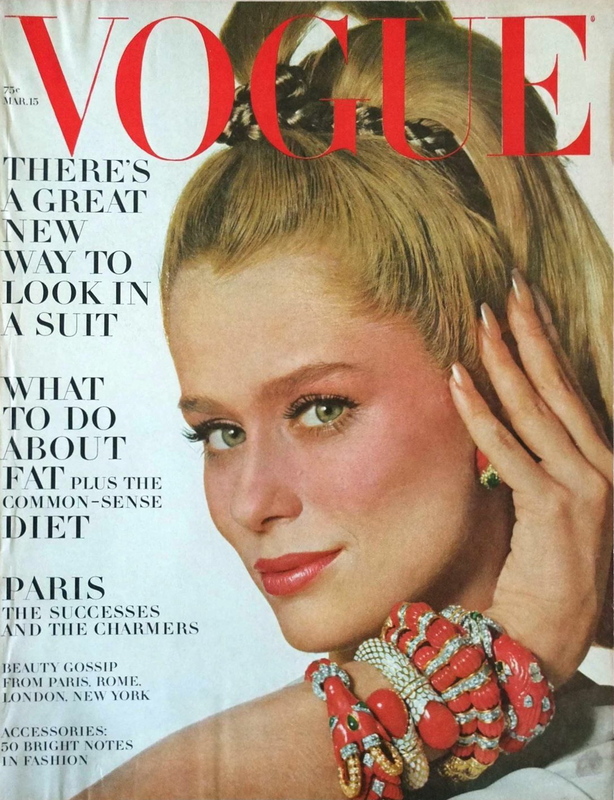 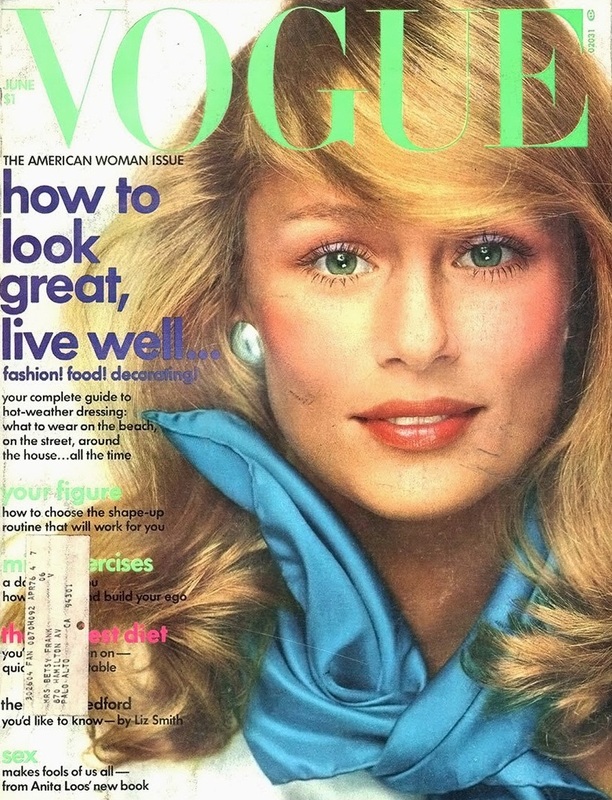 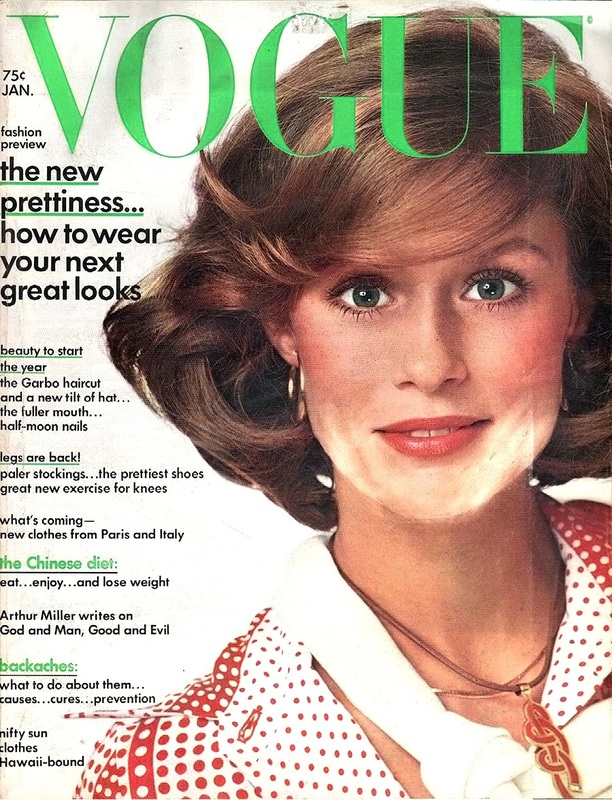 Vogue US January and March 1973. 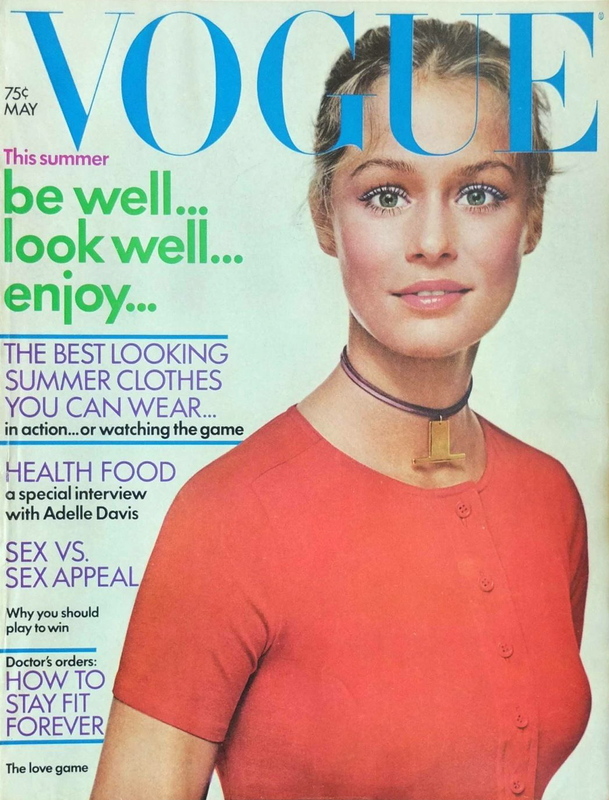 Vogue US June, August and October 1973, by Richard Avedon. 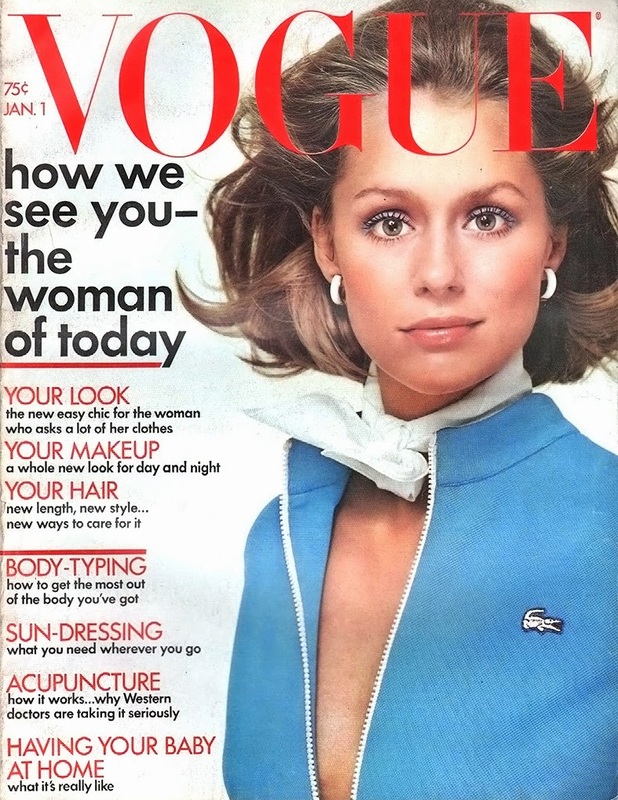 Vogue US January 1974, by Francesco Scavullo. 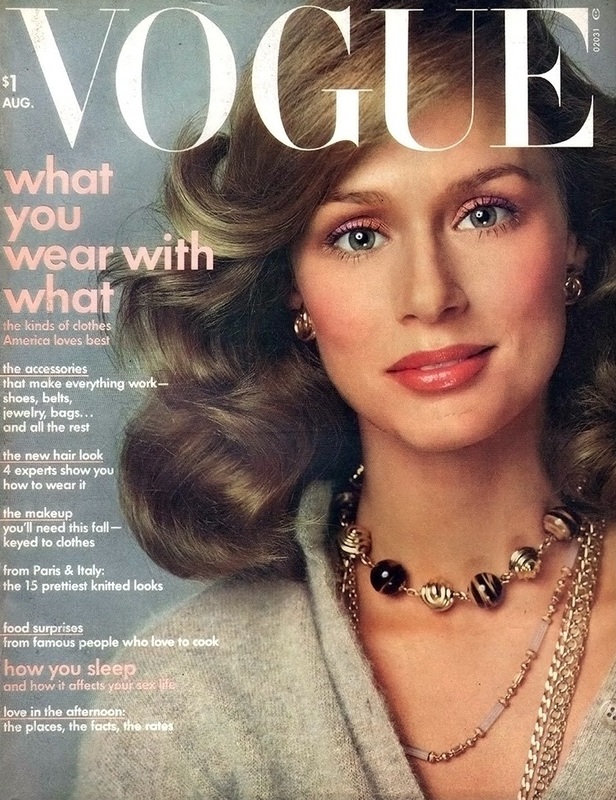 Vogue US June and September 1974, by Richard Avedon. 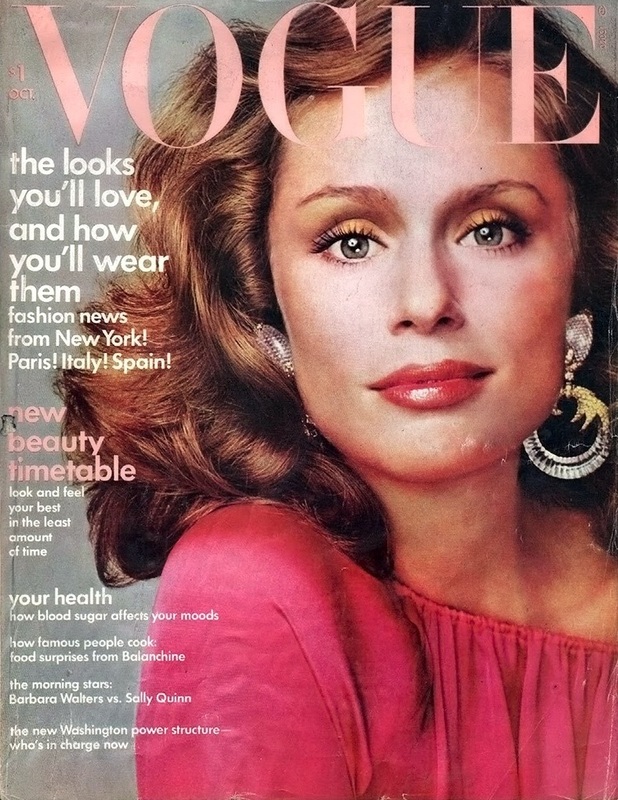 Vogue US January and September 1975, by Francesco Scavullo. 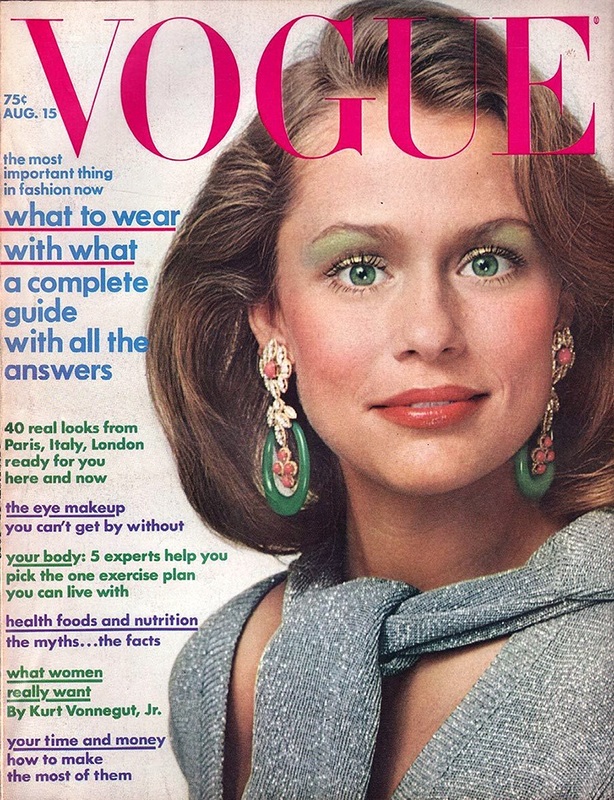 Lauren, Veruschka and Isabella for Vogue Italia December 1988. 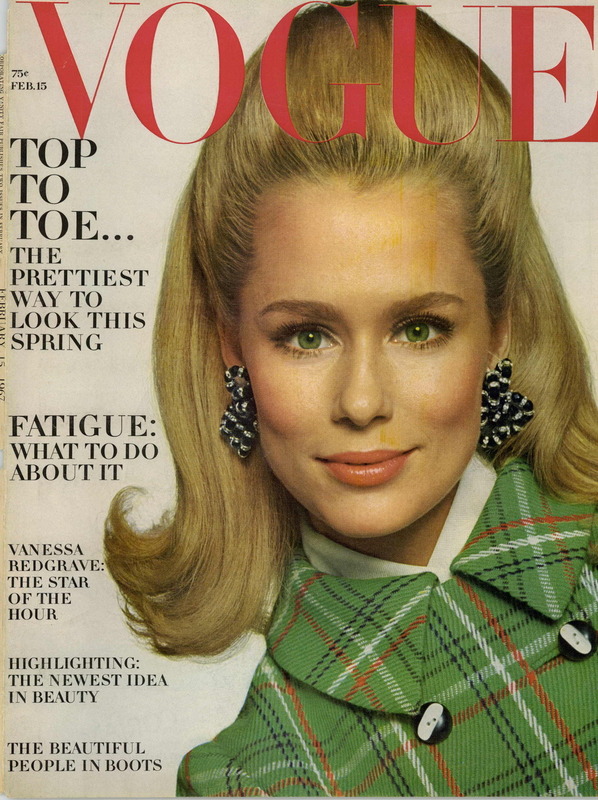 Vogue Italia December 1993, by Steven Meisel. 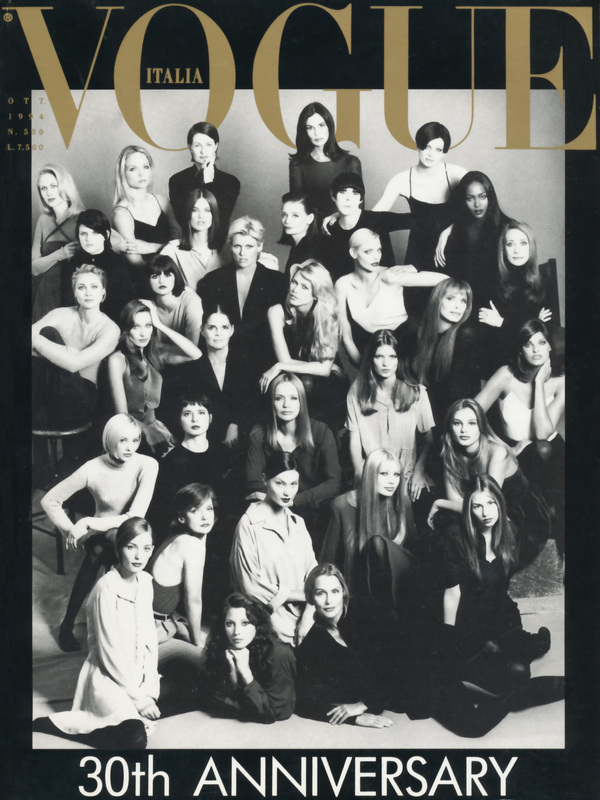 Vogue Korea and Vogue Taiwan December 1999. 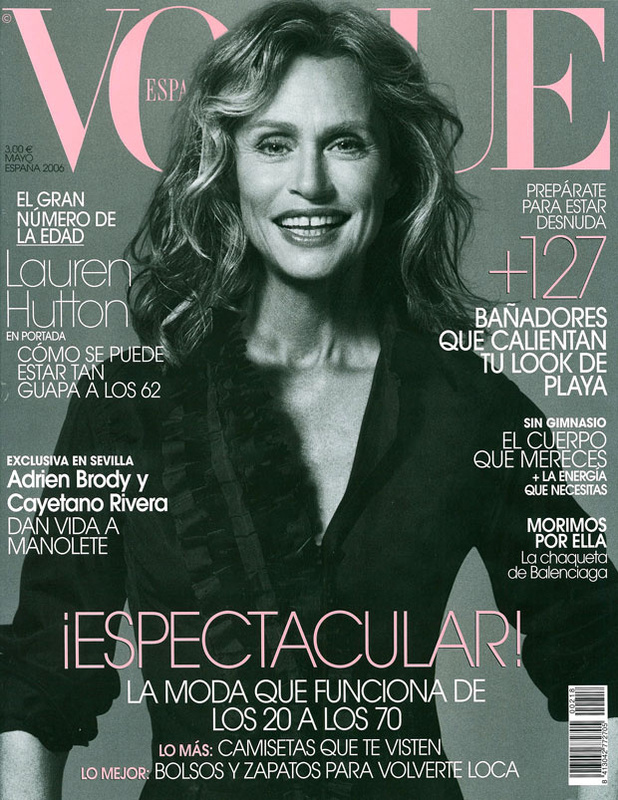 On the cover of Vogue España May 2006. 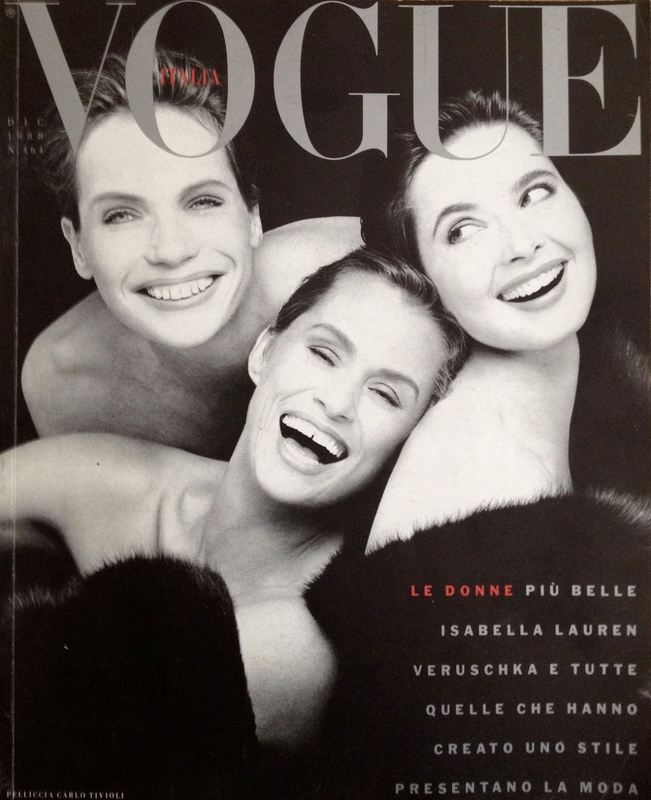 Daria, Stephanie and Lauren by Inez & Vinoodh for Vogue Paris November 2012. 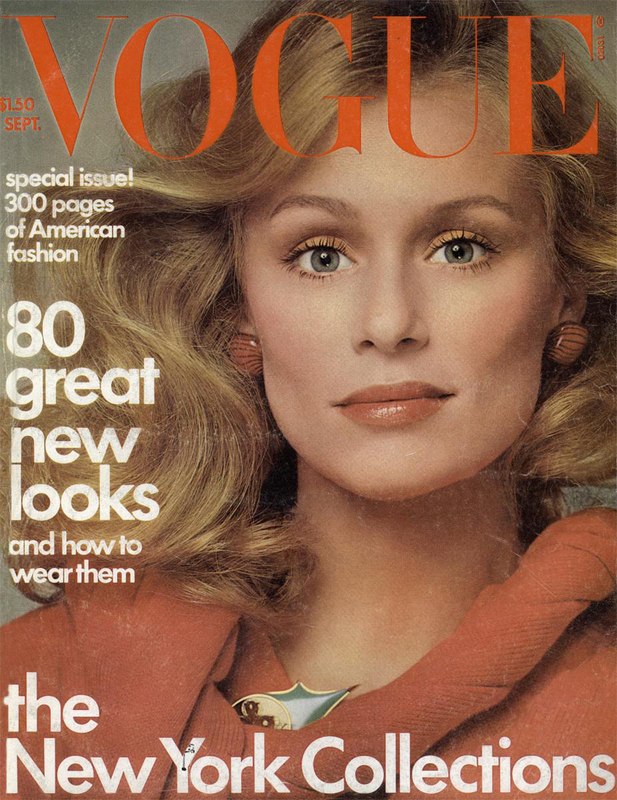 Vogue Italia October 2017, by Steven Klein.